Love the TV show Modern Family? Wait until you meet the family Fletcher! With two dads, four adopted brothers, two cats, and one pug, the Fletchers will have you laughing out loud! Welcome to Rock Island, Where Time Stands Still! 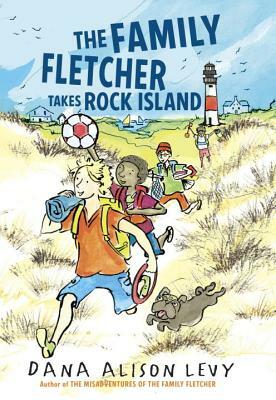 The Fletchers are back on Rock Island, home of all their best summer memories. But from the first day they arrive, it's clear that this year, things have changed. FIRST, a giant fence is blocking their beloved lighthouse. SECOND, they have new neighbors. THIRD, who the heck is the weird artist guy who's never actually painting? And FOURTH, there's now an ice cream truck! Can the island stay the same even with these crazy transformations? Over the course of the summer, the Fletchers will learn that sometimes, even in a place where time stands still, the wildest, weirdest, and most wonderful surprises await.